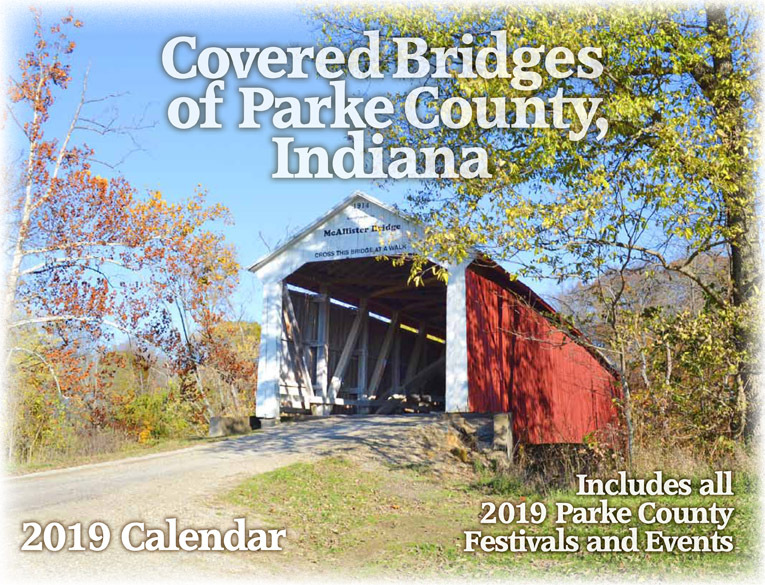 Video Walkthrough of Mansfield, Indiana on Opening Day of the 2017 Parke County Covered Bridge Festival. 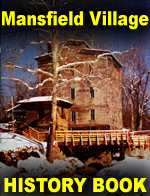 — We enter from the southeast on South Martin Road, travel west through the historic Mansfield Covered Bridge into Mansfield Village and then north to the Mansfield Roller Mill. 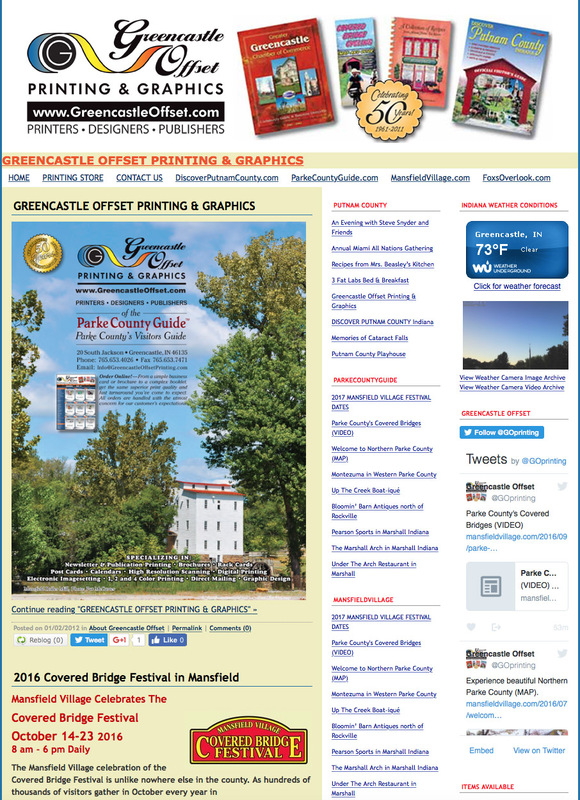 Next, we head northwest on E 621 S and turn south onto IN 59 before turning west toward Bridgeton, Indiana on East Mansfield Road. 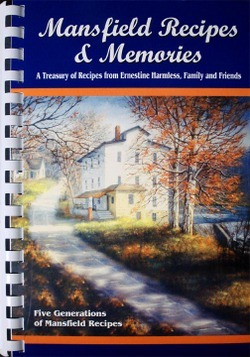 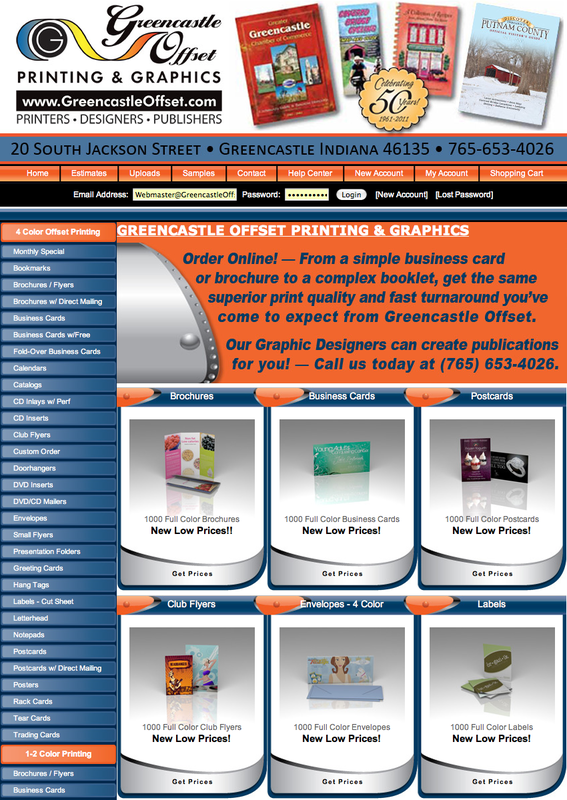 Only $12.00 — Get Your Copy Here! 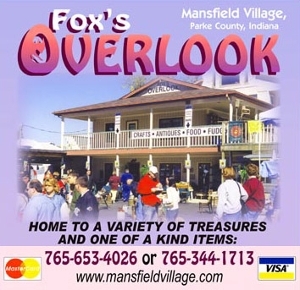 Visit Fox's Overlook during the Covered Bridge Festival! 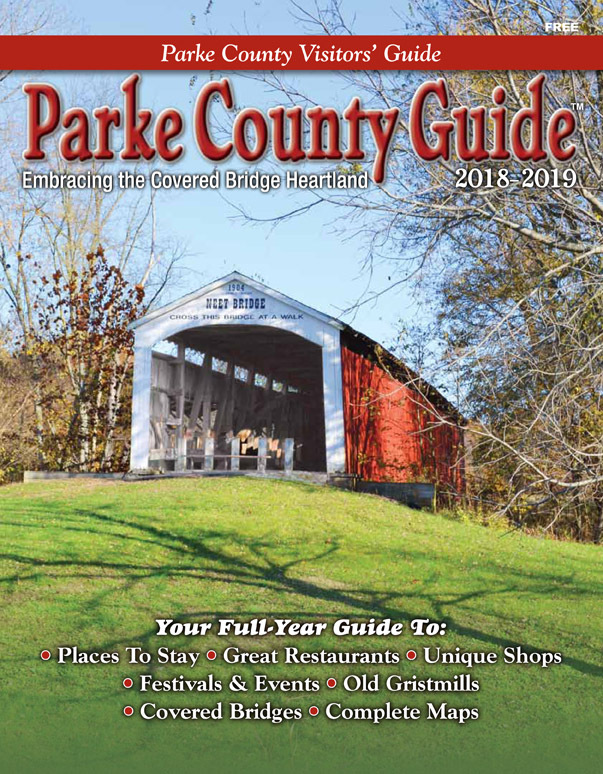 2017-2018 Parke County Guide™ Magazine Available Here!